Things Out Of The Ordinary: How Did Judas Iscariot Really Die? How Did Judas Iscariot Really Die? As a teenager and through my early youth, I did very little Bible reading. Most of the information and stories I knew from the Bible were from church sermons, or from Christian movies. Then a couple of years ago, I decided to understand my religion a little more, and so I set a task to read the whole Bible. I was reading through the book of Acts when a verse made me pause. I re-read the verse a couple of times, and also the whole book of Acts, but it still left the longing question in my head. How did Judas Iscariot really die? In case you don't know who Judas Iscariot is/was, he was one of the 12 disciples that followed Jesus around during his time of Evangelism on Earth. Everybody knows that Judas killed himself after he betrayed Jesus for 30 silver coins. He helped the Israelite soldiers identify and capture Jesus. He felt guilty afterwards and tried to return the money, but after he didn't succeed in redeeming his image in his eyes of the people, he ran off into the night, and hung himself. "Brethren, the Scripture had to be fulfilled, which the Holy Spirit foretold by the mouth of David concerning Judas, who became a guide to those who arrested Jesus. 17"For he was counted among us, and received his portion in this ministry." 18(Now this man acquired a field with the price of his wickedness; and falling headlong, he burst open in the middle and all his bowels gushed out. 19And it became known to all who were living in Jerusalem; so that in their own language that field was called Hakeldama, that is, Field of Blood.)" This doesn't tally with what was written in the book of Mathew, which states that Judas hung himself. Let me put it up for you to examine. 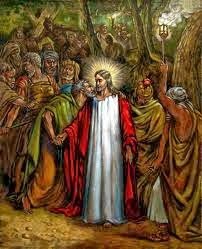 (Matthew 27:3-8) - "Then when Judas, who had betrayed Him, saw that He had been condemned, he felt remorse and returned the thirty pieces of silver to the chief priests and elders, 4.saying, "I have sinned by betraying innocent blood." But they said, "What is that to us? See to that yourself!" 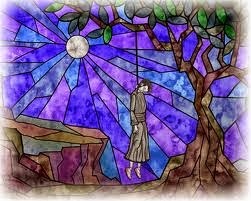 5.And he threw the pieces of silver into the sanctuary and departed; and he went away and hanged himself. 6.And the chief priests took the pieces of silver and said, "It is not lawful to put them into the temple treasury, since it is the price of blood." 7.And they counseled together and with the money bought the Potter’s Field as a burial place for strangers. 8.For this reason that field has been called the Field of Blood to this day." These two greatly contradict themselves. 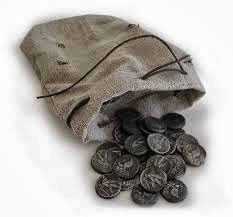 In Acts, we are made to believe that he bought a field with the 30 pieces of silver he had received for betraying Jesus, and he lived there for a while, before he fell headlong one day, bursting in the middle and all his bowels gushed out. But I don't believe someone can just fall and burst open his insides. Could it be some people came to kill him in the night? This is a possibility, since he had betrayed the Messiah. What do you think?